Sometimes coming up with a design for your new home can seem daunting. Where do you start? What will your lifestyle choices cost for you to have them built into your dream home? Where should you build and what size block will be right for you? What are the council restrictions and do you want to stay in your suburb or move to a new one? Renmark Homes is an expert in architecturally designed and built homes and dual occupancy homes; a popular choice these days for those who want to maximise their investment in their property. We consult with you so you have a thorough understanding of the process and the confidence to proceed. Having over 30 years experience in building homes, you can be sure we have the answers to any of your home building questions and the right advice. You can start planning your new home based on land size. We are able to build your new home on narrow blocks, sloping blocks and pretty much any size land you have in mind for purchase. Just make sure you do your due diligence prior to purchase. We are happy to speak with you at the very start of your home building journey so you select the right piece of land for your home, if you need a design, if you want to knock down and rebuild your existing home, or further, if you have a design and you want us to build it. Take a look at our house floor plans to get you started or speak to us about having your home architecturally designed. There's sure to be a look and feel you want in your prestige home. This can require some serious thought. 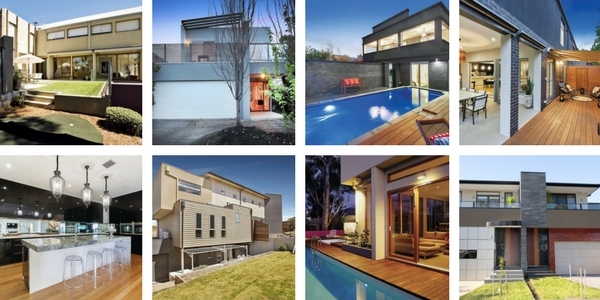 Take a look at some of our prestige homes to get an idea of style and colour including materials used. Have a look through magazines and pick out rooms, colours, design that you like. The finer details can make all the difference and truly make a home your own. Fixtures such as lighting, eco-friendly design, tap fittings, door handles, lighting dark spaces, etc. are all part of the process we can speak with you about. Remember that your home does not stop at indoors. Consider indoor-outdoor living which has become hugely popular. You may like an area for outdoor entertaining that has the option to be closed during the cooler months. Consider fly-wire options so you can still enjoy the outdoors in summer without getting eaten alive by mozzies! Speak with us about designing and landscaping your outdoors. You will need a garden to compliment your stunning home or, if you don't have a lot of time for gardening then this can also be factored into the design. Consider water features, outdoor cooking and dining and a play area if you have kids. Don't forget the family pet!